Unfortunately, we do not publish a catalog at this time as our product line changes frequently. We do offer all our products in our online store www.germansteins.com. Do you sell wholesale or have a wholesaler login? We do not sell wholesale and do not have wholesaler login, but do offer quantity discount pricing for bulk orders. For more information, please contact us with the SKU/item number(s) and quantities. We do not have a retail location(s) and do not allow for pick-ups. We do offer free shipping on orders over $99 and $6.99 flat rate shipping for orders shipping within the contiguous US. Are the packing peanuts environmentally friendly? Yes. We use Renature® - compostable loosefill (biodegradable - non-Styrofoam - packing peanuts) made by Storopack, Inc. Per the manufacturer these "peanuts" dissolve quickly in water, are non-hazardous and are certified compostable in a properly-run industrial waste facility. Are the items we sell dishwasher safe? The glass and ceramic items without a pewter lid, without gold accents and without printed decoration can be washed in the dishwasher, however hand washing is recommended by the manufacturers for best results. Items that have a gold rim or metallic gold in the decoration, are NOT dishwasher safe, as the rim/decoration contains real gold, which may come off in the dishwasher. Hand wash only. Hand washing is recommended for items with a printed decoration. Over time the detergents used in a dishwasher can erode and/or dull the appearance of the transfer image. All items with a pewter lid or made of pewter are hand wash only. All plastic items are also hand wash only unless otherwise specified on the product page. Can I drink out of the steins/mugs offered on your website? Yes! The beer steins, mugs and glass drink-ware listed on our website are safe to use for beverages. The German stein manufacturers routinely test their materials for compliance with the FDA and upon request furnish the FDA with testing information. They are also under constant monitoring of the German Food and Drug Agency, as well as, regional German authorities. Prost! Can I order one custom personalized logo or image decorated stein, mug, glass? We offer logo laser engraving on glass items in any quantity, but cannot engrave on ceramic or pewter. The minimum order quantity for custom color logo decoration is 48 pieces. Please see our custom page for more information on this service. Are the custom color decal decorated pieces scratch resistant? The decals on these items are fired on to the mugs/glasses at approx. 1,100-1,300 degrees F. This process makes the decoration scratch resistant as it bonds to the mug glaze/glass and will hold up very well to normal use. We import directly from the manufacturer and therefore bypass the middleman, enabling us to charge up to 50%less than the competition. Yes. 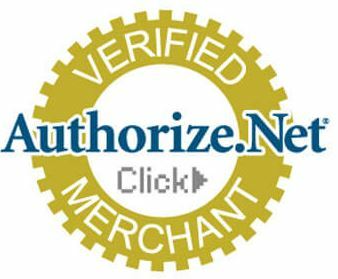 Our site-wide Premium SSL Certificate with 256-bit encryption & 2048-bit root, secures all pages on our website including the checkout and payment process. How and When will my purchase be shipped? How do I return the item(s) I purchased? The order I placed is not in my customer account. If an account is created on our website after an order is placed as a guest the order is not automatically associated with the account. Kindly contact us with the email associated with your account and provide your order number. I wasn't emailed an order confirmation, receipt, invoice after I placed my order. We can suggest checking the bulk, promotions or junk folder for the confirmation. If this does not resolve the matter, please feel free to contact us. Can you engrave on ceramic steins or pewter lids? No, we cannot engrave on ceramic or metal (pewter) items. We do offer laser engraving on glass. To personalize a pewter lid or body of a stein we could suggest finding a company or craftsman in your area that may offer this service. I own a beer stein that needs a lid replacement or repair. Do you sell beer stein lids or offer beer stein lid attachment or repair? We do not sell the stein lids separately from the bodies, as a special mold is needed to attach a lid to a handle. This involves pouring molten pewter into the mold that fits around handle to create the strap that holds the lid in place. We do not offer this service nor have the mold needed. If you purchased this stein from us, please contact us with further information and include your order number. Where can I find more information about my Beer Stein including age, value and manufacturer? What does my beer stein say? Our Beer Stein Translations page may help.